Read our KeyStock review and find out if this broker is good for you! If you want to be successful at trading, you must be ahead of all market participants. But how? Beside being proficient, you need a good partner that will not let you down. Right, we talk about good broker. If you look for someone that will meet all your needs then KeyStock is definitely not your 100% money maker. Their conditions are not as good as they could be. To learn more truth about KeyStock, read our full KeyStock review! The new name for an old company. Be ready for questionable conditions and trading with broker that most of us have known before but in new terms that are not as good as they used to be! KeyStock is a questionable broker to trade with. All the information is transparent, so you can easily find out any info about company without an extra effort, but it does not bring you any added value. You can learn that KeyStock.com is operated by Nuntious Brokerage & Investment Services S.A., a Financial Services Company authorized and regulated by the Hellenic Capital Market Commission (HCMC) under license number 7/481/30.7.2008. As for the headquarters, KeyStock review found out that Nuntius Brokerage & Investment Services S.A. is located at 6 Dragatsaniou Street, 7th Floor, 10559 Athens, Greece. In addition, KeyStock has a lot of questionable educational opportunities to offer. Thus, you are provided with Forex and MT4 tutorials and many other things that are no better than average stuff you can freely find in the internet. You can keep up with the latest global economic events with Economic Calendar provided by KeyStock, which is considered as one of the good things between all the bad stuff that this broker is going to offer to you. KeyStock is mediocre broker. 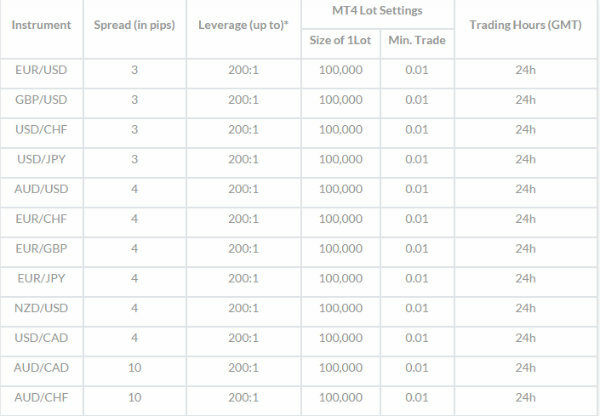 You can choose from one of account types and enjoy questionable trading with KeyStock. You can trade more than 200 assets. So, let’s start! It is an introductory live trading account. At this account the minimum deposit is $1,000. You can get here a Dedicated Account Manager, Video Tutorials, Different Webinars & Seminars and also Daily Briefing & Research. Moreover, KeyStock claim to offer you the Desktop, Tablet & Mobile trading at top-notch level. This one is for advanced traders. Beside getting all the features of Mini account, owners of Standard account will get SMS & News Signals and they also will be provided with Daily Analysis. Indeed, you here the deposit is much higher – $5,000. However, all KeyStock reviews outline that the decision to use this account will eventually pay off in the future. This VIP account is for top traders. It is the most lucrative one with the deposit evaluated $20,000. You will get all the features specified above, but also the Premium Customer Care. All KeyStock reviews consider demo account to be a good opportunity to backtest the trading platform and practice without using real money. At KeyStock you can trade Forex, Commodities, CFDs and Indices. All your trading is supported by trading platforms this broker can offer you. They are 3: MT4, WebTrader and Mobile Trader. All of them guarantee full safety and transparency of all operations. There is a risk of uncontrolled loss of your deposit. Additionally, there is no certainty of your future payouts. What’s more, you always have the opportunity cancel your transaction. MetaTrader 4 KeyStock trading platform is one of the best choices to make. MT4 here has easy-to-use interface, multiple language support, real time account summary, news feeds directly into the trading platform, daily account statement and many other fascinating features. Despite all the advantages those platform types have, you cannot underestimate the efficiency of being a Mobile trader. Fortunately, KeyStock has flexible and functional mobile trading platform that has all chances to become your Formula 1 in trading. With it, you can get advantage of all versions on mobile devices operating in different OS, easy-to-use & highly customized viewing options. 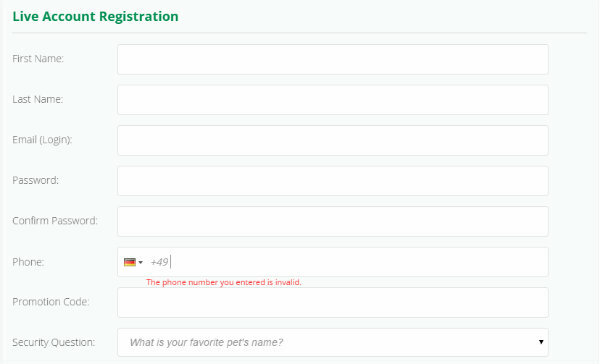 Indeed, the multilingual support is not an exception here. Our review of KeyStock informs you that there are no fees or commissions – just trade currencies with tight spreads and no commissions at all, which can mean that spread is higher. Forex trading at KeyStock becomes even better due to the availability of 45 currency pairs, most popular ones. Leverage is pretty good here too – 200:1. High leverage means that you can boost your currency trading or lead to significant losses. If you prefer trading on the stocks market or if you trade on the indices market, then at KeyStock you can enjoy: Immediate Returns, Zero Commission, 24/5 days a week. It is suitable for all traders, no experience necessary. As for the commodities, 4 main commodities traded here include Energy, Metals, Livestock and agriculture. You can enjoy attractive premiums, independent strategies, diversification and low margin requirement. Well, the customer support is pretty decent here. Our KeyStock Broker review has found out that you can contact different offices of KeyStock. They are located in Greece, Poland and Romania. You can reach technical and trading support by email or by telephone. The staff is trained and proficient. What’s more, it was really friendly before, but now their quality dropped, and customer support is available 24/7 being ready to answer any question or solve the problem. Unfortunately, website is available only in 4 languages: English, Greek, Magyar and Romanian. As the matter of fact, it is quite easy to open an account at KeyStock, which is usual stuff for questionable brokers. They do not request you to deliver some special information. However, it does not mean that they do not care about you. They have stated clearly that personal approach to every trader is their foremost goal, but we would not advise you to believe it. Our review of KeyStock verdict is 1.5 stars out of 5. This broker cannot become a good support to your trading. So, if you are looking for good trading conditions with reliable broker – sign up with Plus500 and do not go for questionable brokers! KeyStock Review	Overall rating:	2	out of 5 based on 1	reviews. I am very satisfied with Keystock, which I think is a very good, safe and easy to access broker. I’ve been trading for 3 months now and during this time there were absolutely no problems or complaints. Last but not least, the broker is very polite, funny and well informed. I’m pretty sure that my experience will continue with them. Forex trading can be a good way to earn money if you find an honest adviser. This is how I found Keystock, I accidentally stepped on it by the reviews six months ago. The guys helped me, but of course the deposits and tradings I control myself. I think that MetaTrader 4 platform is more suitable for experienced traders. Well, a lot of information is also on the site and even the “sharks” of trading have something to read. I personally know many people who made profit using Keystock.com, but they don’t have the time or desire to write about this. I recently joined with a broker at the recommendation of a friend the same broker. The relationship with clients shows that it is a safe office. What I like – the choice of trading tools, free tutorials on Trades (still use them), relatively low spreads for raw commodities and currency pairs. In the world of online trading that I came recently in, when I had some spare money it became clear that it is necessary to somehow make the best of it and make the investment increase. While it can be said that I’m new to this, I will not hurry, studying the domain. I tried to trade on a demo account on KeyStock, the profit was small, but there was an interest, so I got involved. Now I go through a training course, at the end of the month I plan to open a mini account with a thousand dollars. Thank KeyStock managers for your timely and very detailed advices! The worst possible trading company. They lie in every stage. They will charge highest spread. Tell you that they will give you bonus . No its just loan with interest which they take out. Always call you and give you tips which will come out wrong. They say they have a holy grail called , Trading Central, . Another Scam. Its a free indicator anyone can get by googling. LIARS… Cheaters. .